Having the gift of sight is a beautiful one, but it’s also more complicated than you might realize. The muscles of your eyes play an essential part in the process of your eyes and brain interpreting and translating visual information. The brain sends signals to your eye muscles, aiming them in the same direction at the same time in order to ensure you receive a balanced and accurate interpretation of the world around you. Having a binocular vision dysfunction (BVD) results in unnecessary strain in the muscles of the eyes, which manifests in headaches, blurry vision and problems with driving and reading. Depending on your unique case, you might have one of these symptoms, or you could have several of them. With the amount of visual information the brain relies on in our everyday lives, it’s not unusual for individuals with BVD to not associate experienced symptoms with their vision. One type of BVD is vertical heterophoria, which is a result of a small misalignment of the eyes in the vertical plane. The dysfunction results in a number of complications throughout the mind and body, such as pain when moving the eyes, trouble with reading comprehension, migraines and dizziness. With this particular condition, the eyes can either be physically misaligned or there can be abnormalities in the nerves or muscles of the eyes. There are also instances where the dysfunction is the result of a neurological disorder, a traumatic brain injury or a stroke. That being said, it’s most common for the individual to be born with the condition and not realize just what it is until later on in life. Until receiving an accurate diagnosis, the individual’s eyes and mind do the best they can to counteract the ocular imbalance and the resulting vertigo. Face ache, upper neck pain, ocular pain and other common signs of sinus problems and migraines. 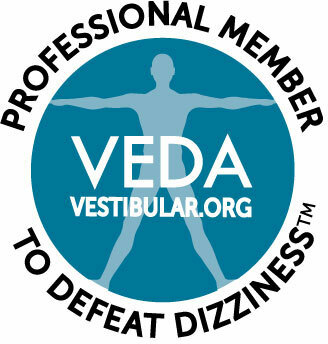 Vestibular complications, such as nausea, motion sickness, compromised depth perception and a lack of coordination. These symptoms can resemble those linked to inner ear disorders and sequelae of a stroke. Skipping lines or having a hard time keeping your place while reading. Experiencing sensitivity to light, overlapping vision, shadowed images, and glare. These symptoms can also lead to psychological problems, such as chronic dizziness anxiety and feelings of unease at the thought of being in a large crowd, buildings with tall ceilings or having a dizzy spell while driving. Before being diagnosed with vertical heterophoria or another BVD, the individual may think he or she is agoraphobic or has clinical anxiety. One thing that should be noted is that BVD tends to run in families. Until accurately diagnosed with a neuro visual examination, family members may think they have a condition other than BVD. 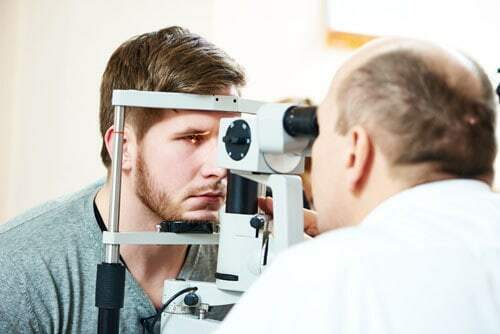 It’s also important to be aware that a vision dysfunction may not be identified by an optometrist even if the individual is diligent about keeping up with her or his eye exams. Should the person continue to think the condition has something to with another part of the body or mind, he or she may not receive the proper treatment required to treat the root of the problem. Once BVD has been properly diagnosed, it can be treated with the Feinberg method, which was devised by Dr. Debby Feinberg. Special prism lenses are added to the eyeglasses that help balance the images seen by the eye and translated by the brain. Once the patient starts wearing these special glasses, headaches and dizziness and any other symptoms experienced should start to resolve themselves. Get in touch with Dr. Cheryl Berger Israeloff and the rest of the staff at the Neuro Visual Center of New York should you have any questions about BVD or if you’d like to schedule a neuro visual examination to determine whether you have a binocular vision dysfunction. Besides calling 516-224-4888, you can also complete our questionnaire. We look forward to meeting you and helping you get your vision back to normal.